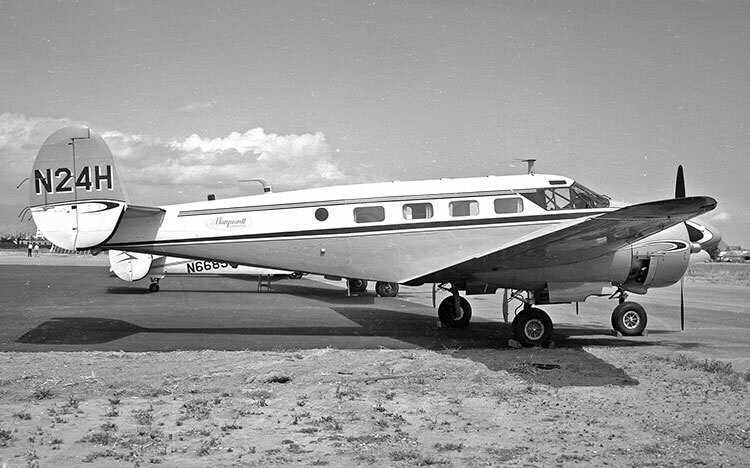 Beech D18S trigear N24H (A-576) at Van Nuys, California in 1962, showing off its Volpar trigear which had just been installed the previous December. The owner’s name Marquardt Corp is painted on the fuselage, before the days of the anonymous exec jets. This aircraft ended its days on tourist sightseeing flights between the Hawaiian Islands.